Huawei recently announced the MediaPad 7 Vogue tablet. It’s an Android Jelly Bean tablet that sports a calling feature but I doubt anyone would use it to make calls in public. 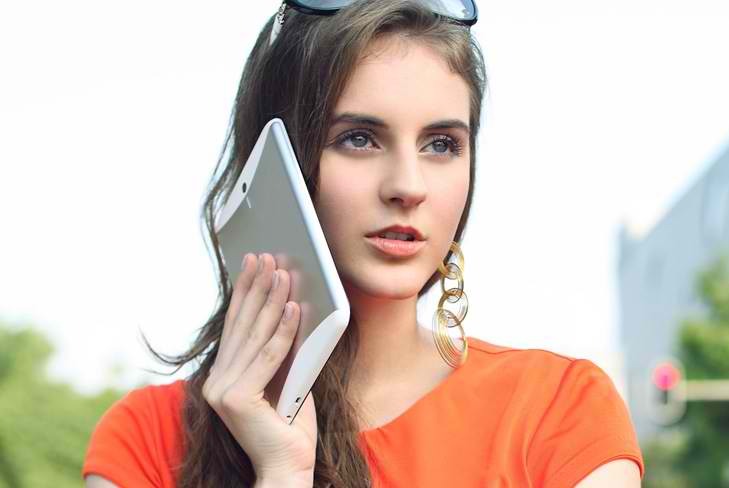 Using a phablet is uncomfortable enough it’s quite a stretch to incorporate a calling feature on a 7-inch tablet. It should be just fine though if you use headphones to receive or make calls. The Huawei MediaPad 7 Vogue features a 1024×600 IPS LCD display and is powered by a K3V2 1.2GHz quad-core Cortex-A9 chipset paired with 1GB of RAM. It has 8GB of internal storage expandable up to 32GB via microSD card slot. It offers a host of connectivity features including Wi-Fi b/g/n, Bluetooth 3.0, UMTS/DC-HSPA+ radio and also packs GPS/A-GPS, an accelerometer, ambient light sensor, and a proximity sensor. For imaging the MediaPad 7 Vogue has a 3-megapixel fixed-focus rear camera and a VGA-resolution front camera. The tablet uses a 4100mAh battery. The display and storage capacity of the MediaPad 7 Vogue are not as impressive as the Nexus 7’s so I don’t think the MediaPad 7 Vogue will take the best 7-inch tablet title from Google. If priced right, though, the MediaPad 7 Vogue may sell well considering that unlike most 7-inch tablets in the market, it has a phone feature. The Huawei MediaPad 7 Vogue will be available in China this month and will be released in other markets afterwards. It’s not clear if this will be made available in the Philippines but my guess is it will released here. Pricing are not yet available at this point. Para siyang may hawak na pinggan sa kaniyang tainga. ano ba iyan ! For calls w/out using a bluetooth headset…… AWKWAAAAAARD! @Rey Vergel Sotto Garciano-Espinosa precisely my thought. haha. you really need a headset for this. Yes but using a Bluetooth headset, not placing it on my ear, that would look ridiculous.